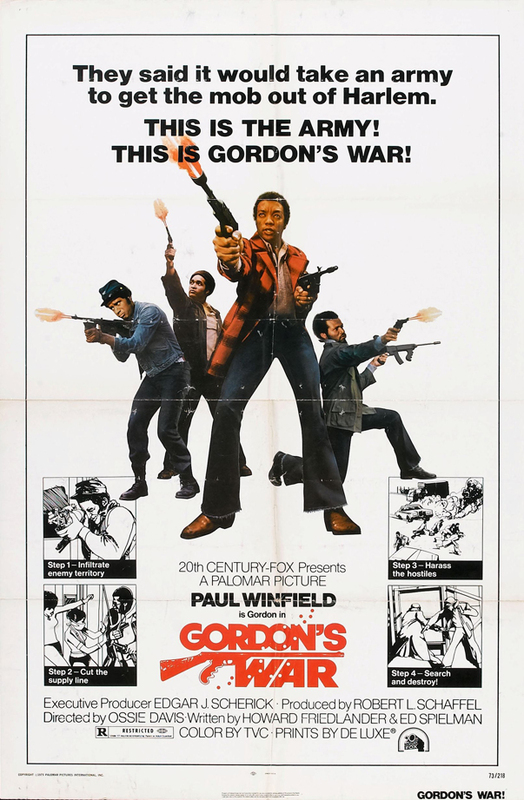 Gordon's War (1973, USA) is a Blaxploitation film directed by Ossie Davis. They said it would take an army to get the mob out of Harlem. This is the army! This is Gordon's war! This page was last modified on 27 December 2018, at 14:32.